Obverse (front): Each medal is struck as many as nine times to produce the undulating form. The front has the olympic rings with a tribal symbol of an orca. 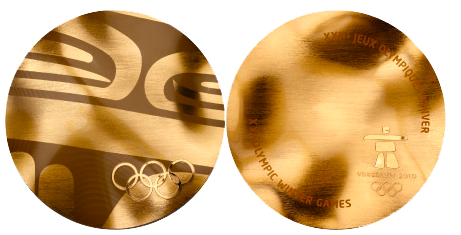 Reverse: Vancouver Olympic logo with inscription of games in French and English.